Living in the area where the weather is great most of the time (if not to count drought that we had for several years, but it didn’t feel like bad weather, I just knew that it was bad for us), I have only a memory of how awful cold weather might be, and how tired one gets with the winter and wishes it to finally end. But from the time when winter and cold weather were still an unpleasant part of my life, Groundhog Day movie has been one of my absolute favorites. I won’t claim that I re-watch it every year but I watched it more times than most other movies in my life, which is both ironical and symbolic if you’re familiar with the plot of the movie. What I find interesting about this movie is that while it is a comedy, there are no that many one-liners in it. And still for me it’s one of the best comedies ever. I was in the Virgin Islands once. I met a girl. We ate lobster, drank piña coladas. At sunset we made love like sea otters. That was a pretty good day. Why couldn’t I get that day over and over and over? That made me think about… well, perfumes. Neither I nor most (all?) of you are a signature-perfume-wearer-type. When five years ago I invited my readers to participate in an experiment of [thinking of] wearing the same perfume for a week, most of the readers admitted to not being able to do that. I barely went through the experiment myself (with 1-day interruption). But what if I were to get stuck in February 2nd somewhere away from home (and my collection) on a one-day trip (so no back-ups) – what perfume would I want to be wearing? Any choice would be an impossible one: I don’t want to be wearing any one perfume for days or months, leave alone years (according to different sources, Phil Connors spent from 8 to 10 years in Punxsutawney). 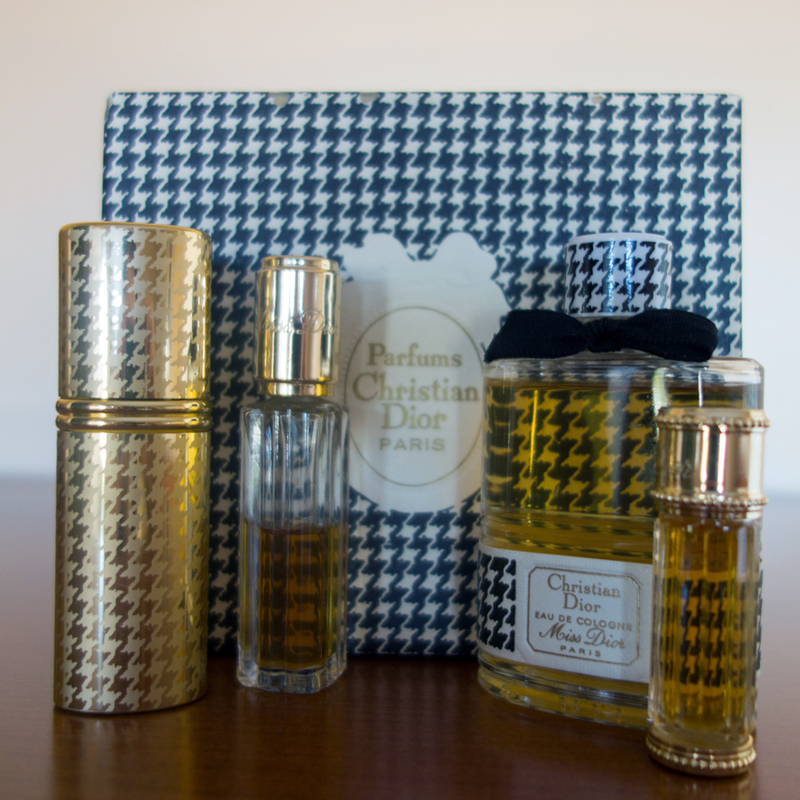 But if I had to choose, I would probably go with one of the original Miss Dior perfumes in my collection. And if you were wondering why I haven’t chosen my eternal perfume love Lancôme Climat or one of the later top favorites, e.g., Ormonde Jayne Ta’if or Amouage Ubar: these three are too special for me to wear any of them every day – and I would want to wear perfume even under those dire circumstances, but I’d need something I think I would be able to tolerate for many days. And with Miss Dior I have a long history of warm relationship. So, I hope it would support me during the endless winter (and as an added bonus: I would have never risked running out of it since every morning the bottle would be full to the same level as the morning before). How about you? What would be your Groundhog day perfume choice? Did you wear any rose perfumes recently? Please share even if you are not interested in artisan chocolate, an entry into the draw for which each comment will secure for you. You have four more days – until the end of the month – to get four more entries for each comment about rose perfume you’re wearing. I’ll announce the winner in the Week 4 report post. I completely recovered from my olfactory fatigue with this perfume and now enjoy wearing it. I still think Le Labo’s bottles are ugly so when I’m done with my current decant I’ll go for the next one. After wearing it one more time, I can confirm that it was as big of a disappointment as a rose scent as it was when I tested it for my In the Search for the Perfect Coffee post: it’s not unpleasant, it behaves well on my skin but it’s so not interesting… I don’t understand how this one stays in production while much more interesting perfumes from the line get discontinued. Originally Amouage Lyric was scheduled for that day. But when earlier I ran out of PHI and decided to move Lyric to the first week, I got an empty spot, which I decided to fill in with Mogador – perfume, about which I completely forgot while arranging my calendar and about which I was reminded by rickyrebarco’s comment on the Lucas’ Month of Roses post. What can I say? I like it a lot. I will probably write more once my full bottle arrives. This is one of perfumes that I wanted to love: these are “my” notes (rose, oakmoss, ambergris, beeswax and peru balsam); it’s a good brand, and Tara (A Bottled Rose) who generously sent me a sample of it loves it. 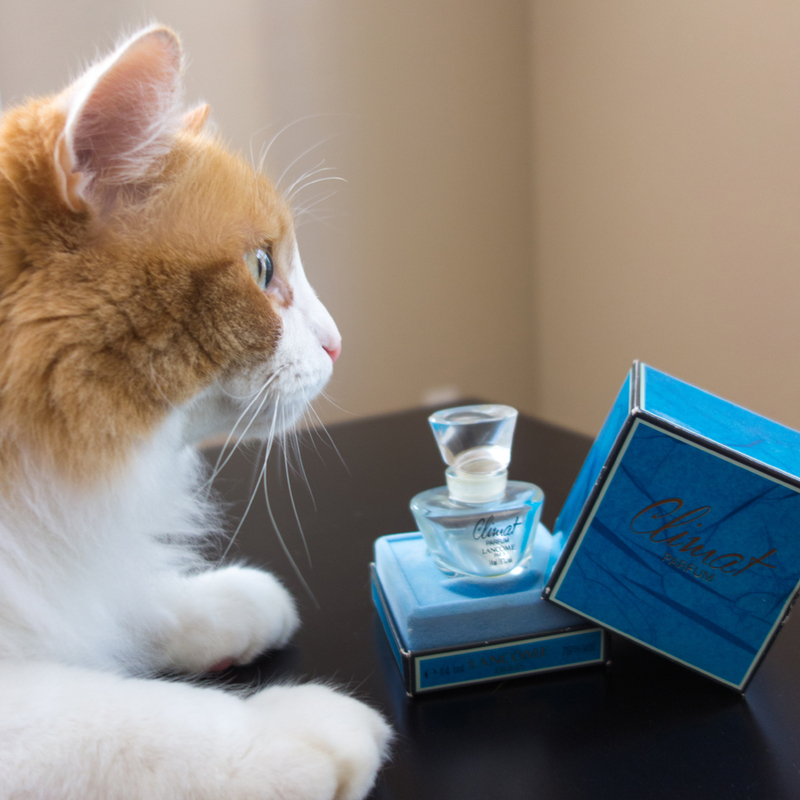 But the heart… I mean, the nose wants what it wants, and while I appreciate Tobacco Rose, I don’t want to wear it. I didn’t like the idea of the new line: I do not believe in “more affordable” versions of something that is good: usually it results in cheap knock-offs sold at half the price of something that was good but expensive. Besides, I disliked the previous experiment – Pentachords line. Thanks to hajusuuri, I got to try Rose Flash and I liked it. 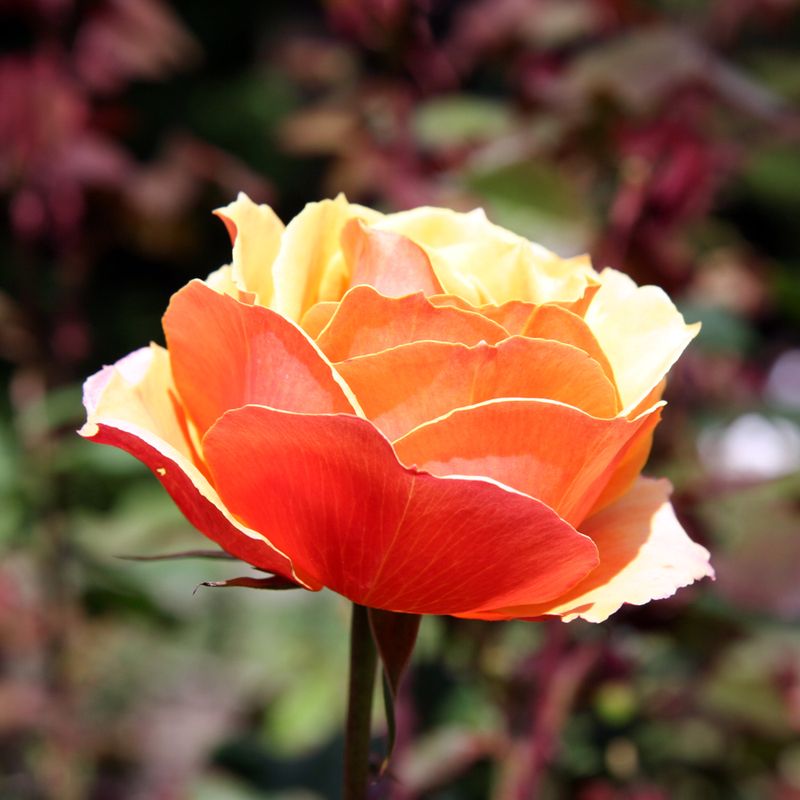 But I already have Rose Vermeille, which, in my opinion, is a better version of the same idea. Ambre Nuit decant fulfilled its destiny: I wore the last of it for this project. 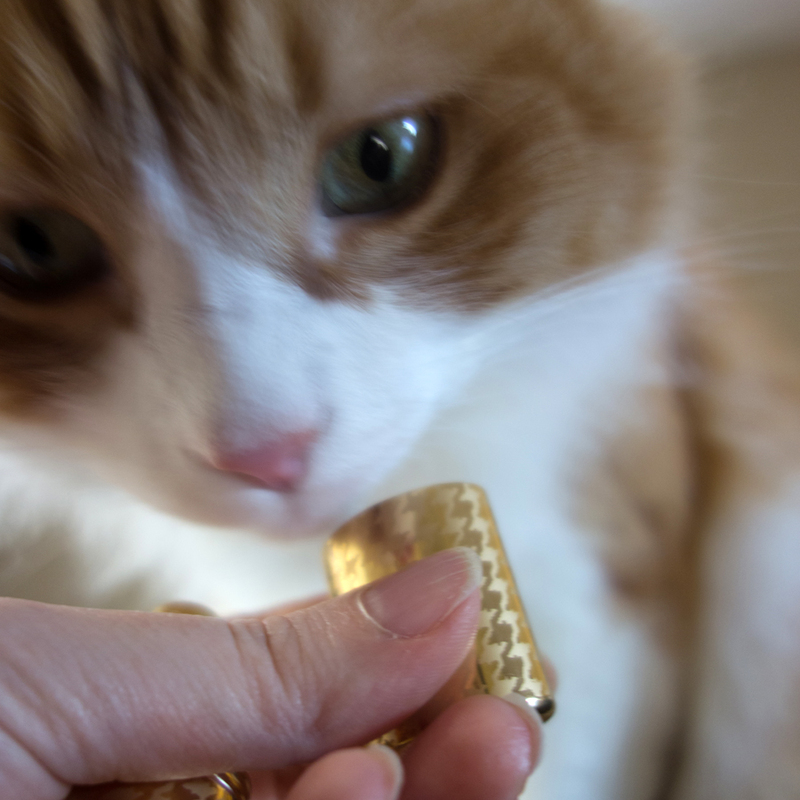 I love this perfume – despite it being a misnomer: it is not amber perfume. 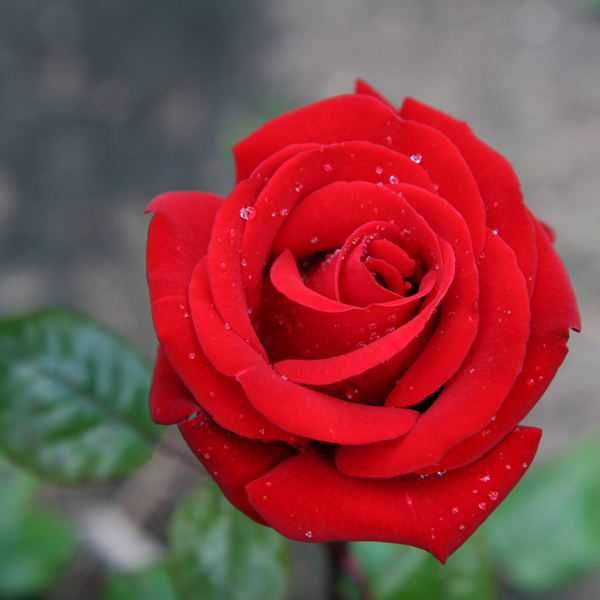 But it is such a beautiful rose! Why do they have to produce it in those huge bottles?!! Who needs 125 ml of any single perfume?! But if it weren’t for that small detail (there should be some pun in there), I would be buying a bottle at this point. I wasn’t thinking straight when I slotted this perfume for a work day: it is too strong for workplace. But since I didn’t want to change the plan (not that anybody would have noticed, I know), I applied just a tiny spritz from my small decant. I understand why many people like Rose Nacrée du Désert but for me it’s still only number two from The Déserts d’Orient line: unlike Songe d’un Bois d’Eté that just doesn’t work for me, I could wear this one if I didn’t have any other perfumes I love more. By the way, have you read that forming a habit in 21 days is a myth? 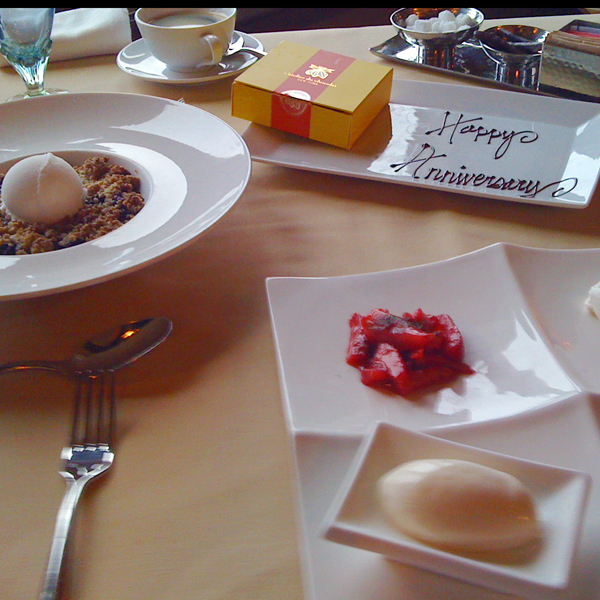 I love special occasions – birthdays, holidays and other revelries so I’m glad to have an extra reason to be festive – the fourth anniversary of Undina’s Looking Glass. Come over, let’s celebrate. For the previous anniversaries I told the stories of this blog’s name (and how Undina came to be) and of my falling down the rabbit hole. Today I decided to do a little show & tell session. 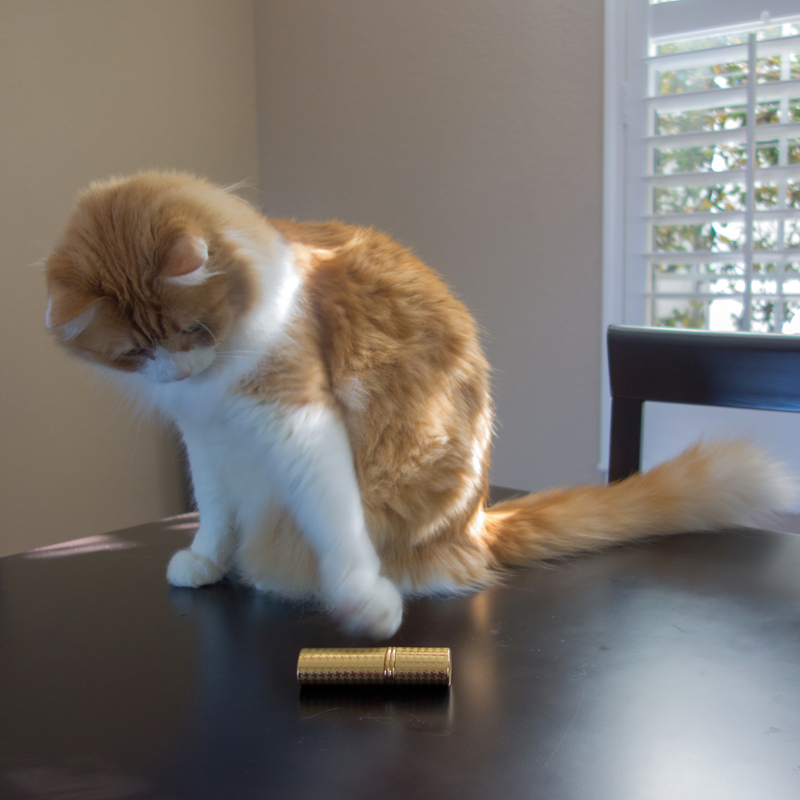 I bribed Rusty with several treats to help me. This was my first ever bottle of perfume. 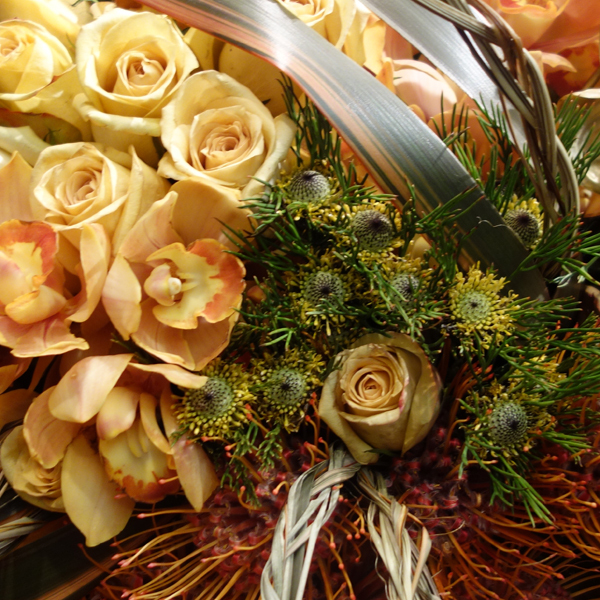 It was a gift but I can’t remember from whom – my grandmother or my father (I think it was from one of them). I was probably 13 when I got it. I had some vials of perfume oils before as well as was allowed to (or not but still did) use my mother’s perfumes but this was my own bottle. Actually, it was a set – perfume and deodorant. The name was Paris-Paris. No brand. It was a bright floral scent, I liked it very much and used often while the bottle was full. Deodorant went first. Then the perfume was nearing the end and I knew I wouldn’t be able to get another one (perfumes weren’t easily available for purchase even if I could save enough money from my allowance). So I started saving it and would wear Paris-Paris once in a while, for special occasions. During a summer break, when I was away on a trip, my mom used up the remaining drops of it. Back then I was very upset. Now, looking back, I smile softly: not only because I realize that my mother, not having her own perfume at the time, got some enjoyment from using mine, but also because I find some poetic justice in that: as a child I wasted enough of her precious perfumes. And not only for scenting love letters… Over the years I tried looking for this perfume but with the name Paris-Paris and no brand name… Have you ever seen that bottle or know anything about this perfume? For now I should be alright with a (presumably fake) parfum I bought 12+ years ago, a couple of EdP bottles from the 2006 Lancome’s anniversary re-issue as a part of La Collection and the most recent re-release of EdT version, but I still hope that one day I’ll come across a perfectly preserved vintage bottle of Climat (or win a lottery and allow myself to experiment with eBay’s offerings). If you haven’t read it yet, here’s a post in which Vanessa (Bonkers about Perfume), Suzanne (Eiderdown Press) and Natalie (Another Perfume Blog) did a blind test/comparison of my beloved perfume and Amouage Gold. I’ll wear Climat today to mark this anniversary. The last bottle wasn’t technically mine… I was still living in my native country. My father, who had moved to the U.S. by that time, came to visit and brought us some gifts. I got Houbigant Raffinee but never learned to like it and gave it away to a friend who was ecstatic to get it. My vSO also received a bottle of perfume. It looked kind of masculine. So with English not being even our second language we both never questioned that perfume’s gender designation. Even the scent, which by my today’s views is unisex at best but leaning feminine, somehow wasn’t a giveaway to us. My father said it was a perfume for my vSO – and so it was. 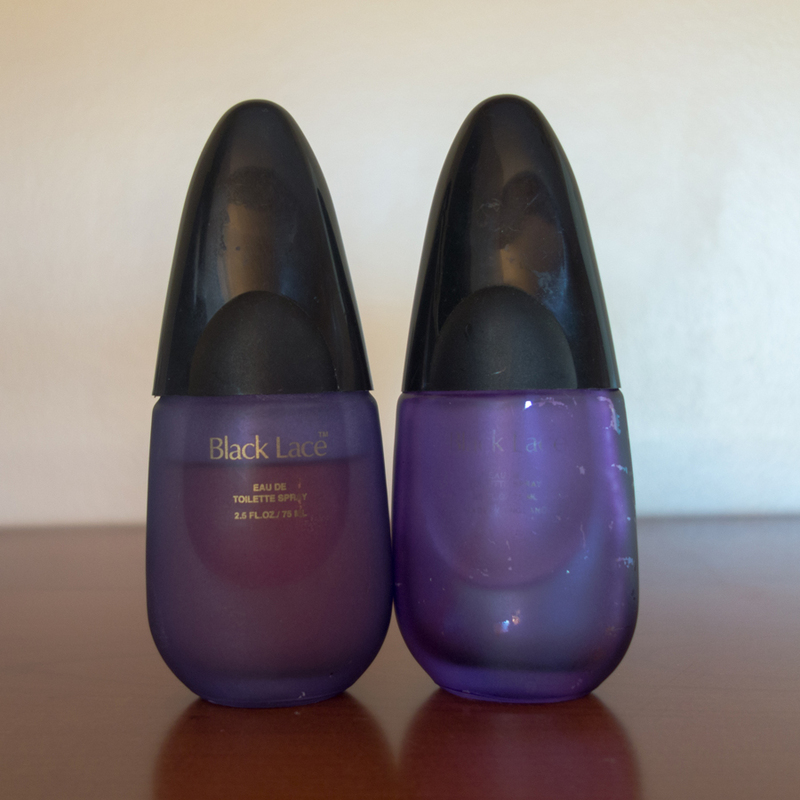 There’s nothing strange in the eau de toilette for men being called Black Lace, right? Right??! We both liked it a lot: he – to wear, I – to smell it on him. But not even once I thought of wearing it myself because back then even the idea of crossing gender boundaries with perfumes would have never occurred to me. Black Lace, eau de toilette and “Made in England” were the only pieces of information I had about that perfume. Good luck running that search without a brand name. I tried. Many times. I know all the companies that produced perfumes with that name or had a special “black lace” edition one time or the other. That’s how I finally got a suspicion that most likely it wasn’t masculine cologne after all. I find it ironic that my vSO, who is “into perfume” mostly by association, was the first one in our family to have a gender-bending perfume fling while mine happened only years later. A couple of months ago, after more than a decade of search, I suddenly found a bottle of “my” Black Lace on eBay. The seller had no idea what it was and was selling it “as is.” I bought it. On the picture above the bottle on the right is the original one, you can barely see the words; the bottle on the left is the one that I bought. Unfortunately, the perfume is spoiled but I can still recognize the smell and I would probably still like it had it been fresh. Have you ever seen this bottle? Do you know anything about this perfume? Two years ago in the anniversary post I suggested you to ask me in two years if writing for my blog got easier over time. Did it? Not really. I think it means I should keep practicing. How Do You Take Your Amber? We had a really strange winter this year*: it has never actually got cold. When I say “cold” I mean, of course, our Californian cold – something like 10C/50F. Instead of it the average high temperature in February, for example, was 16C/60F. I’m not really complaining especially after hearing about record levels of snow and cold weather all over the world. After all, no matter how much I realize that warm weather in absence of rain makes our drought situation even worse, objectively if feels nice. But there was one serious negative consequence for me: this past winter I couldn’t wear almost any of my favorite amber perfumes. Even though I do not do a conscious season rotation of perfumes, my wearing habits gravitate towards the commonly accepted practice of lighter scents in summer and heavier members of my collection in winter. 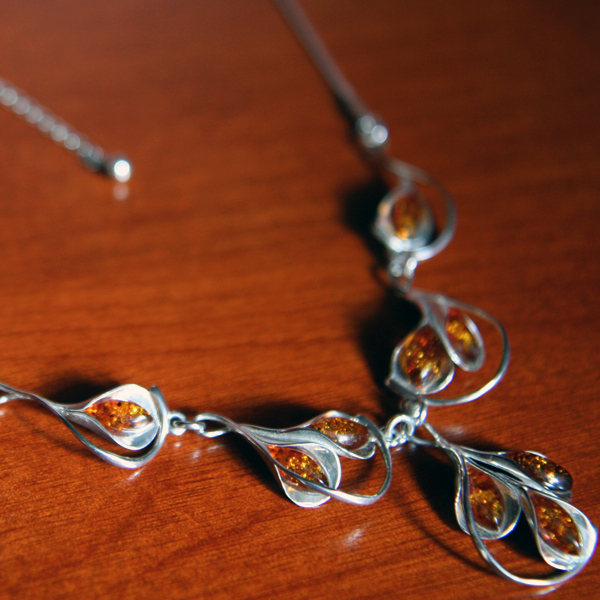 So the only amber I wear in hot weather is my amber necklace. As winter approached I was eager to start wearing my favorite ambers again. The first disappointment came when I put on Ambre Russe by Parfum d’Empire. This perfume was on my “to buy” list for a couple of years so I decided to finish the sample I had and finally buy a bottle. Actually, I would have bought it not waiting for the last drop to leave the sample vial if it weren’t for an unavailability of more reasonable 50 ml bottles. Now I think that maybe it was a sign: the last time I wore it from the sample I felt almost like washing it off. Now I’m not sure any more if I even want it. After that I was very careful approaching the rest of the usual suspects: Ambre Sultan by Serge Lutens, Ambre Fetishe by Annick Gotal, Amber Absolute by Tom Ford and Mitzah by Dior – each got just one wear, if that. I didn’t dislike them but I didn’t get the same warm feeling I used to get from them before. Even L’eau d’Ambre Extreme by L’Artisan Parfumeur felt too heavy for the weather. There were just a couple of ambers that worked better and didn’t scare me. 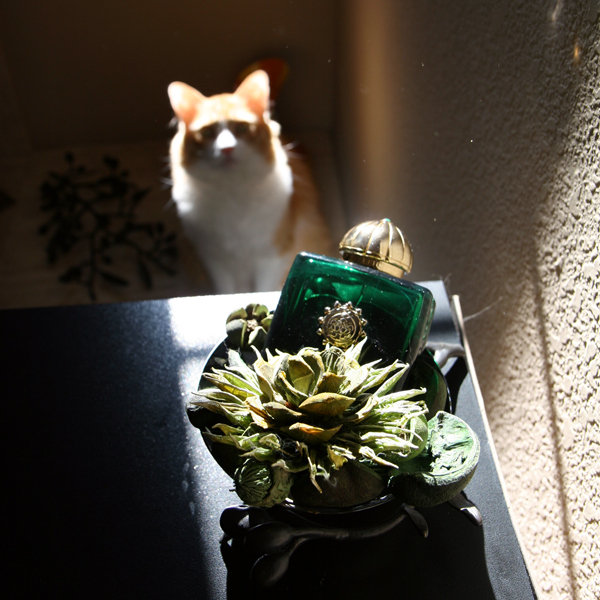 Unexpectedly, two of those were Ambre Orient by Armani Prive and Amber Oud from By Kilian. I am surprised because both have agarwood – the note that is difficult for me. But this time amber + agarwood combination seemed exactly what I needed. One more perfume that suddenly came into favor was Calamity J by Juliette Has A Gun. After I deplete the decant I will consider adding a bottle to my collection. Despite all that I had more amber in my life this winter than ever before: last New Year I’ve got a gift from my vSO – Black Orchid Diffuser Set from my favorite designer Michael Aram. 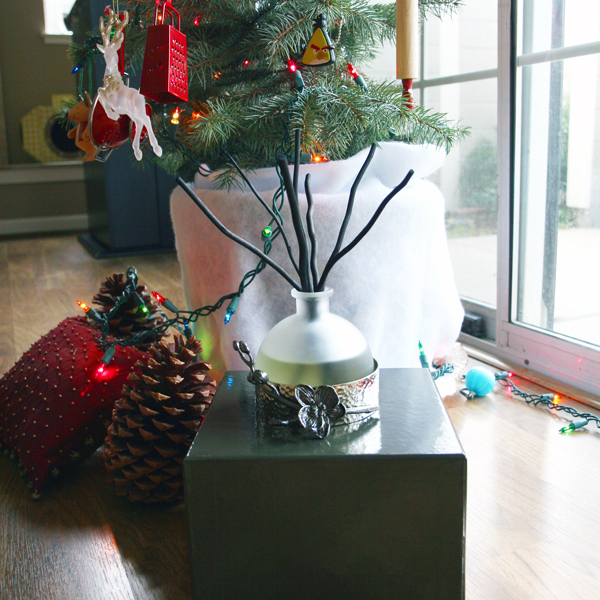 I’ve never had a diffuser before but was glad to get this one since I have some other items from this collection. Official notes are citrus, floral notes, tropical fruits, cedar, sandalwood and musk but for my nose it smells like a light amber perfume. And for a while, until I realized from where that wonderful scent was coming, I tried to figure out which of my perfumes left those traces and, which was even more important, where?! So this year I take my amber light or very light. And, it seems, with agarwood. But I really hope that next year I’ll be able to enjoy the “heavy hitters” (© Olfactoria, Queen of Amber) again. How do you take your amber nowadays? * Ines recently started her post with the exact phrase but I swear I had this part already written by the time I read her post. Where I come from, in 1970s and ’80s students from schools and universities as well as clerks, engineers and even scientists from cities would be taken to work at kolkhoz (a form of collective farms) for days or even weeks during the summer and fall months – as a part of the yearly Battle of Harvest. It was a mandatory activity that most people hated but in which they had to participate. One summer after the seventh grade I spent two weeks at such kolkhoz. Since we were children, we got the more pleasant work than digging up potatoes or weeding: we were picking strawberries. We lived in large barracks with outhouse and outdoor washing sinks; food was awful and the only entertaining we had were a couple of movies we watched in the local club house. But we were young, our friends and class-mates were there and a long-awaited summer vacation was coming right after that so it was rather a pleasant adventure. In spare time we played badminton, cards and guitars. Life was good. Being city kids, most of us could never get as much fruit as we would like to: those were scarce and relatively expensive. So for the first couple of days in kolkhoz strawberries that we were picking went into our bellies/baskets roughly in 50/50 proportion. 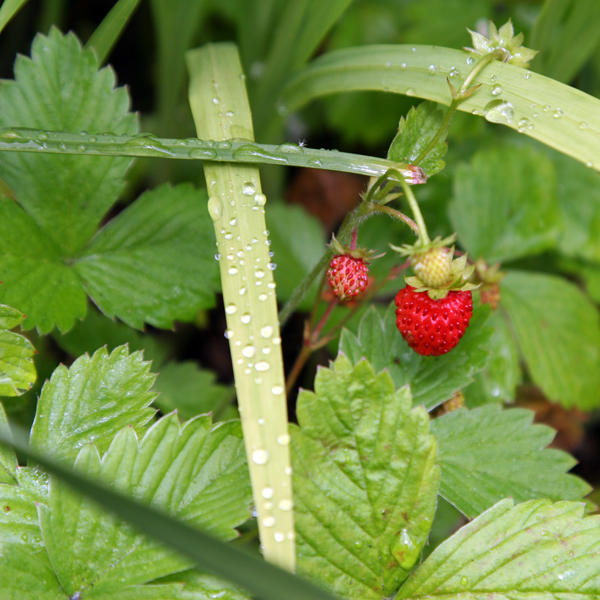 Since the whole day (well, it was probably just 4-5 hours but it felt like more) we were moving through the rows of strawberry plants looking for ripe berries, when we went to bed at night all we could think of was picking strawberries. I remember discussing it with several friends and we all had the same experience: as soon as we would close our eyes but before completely falling asleep we had visions of parting leaves with our hands to reveal an abundance of very large red strawberries. By the end of our time in kolkhoz none of us could look at another strawberry. Strawberry note in perfumes isn’t one of my favorite. Probably because it’s so ubiquitous not only in cheap mainstream perfumes but also in many other functional products. 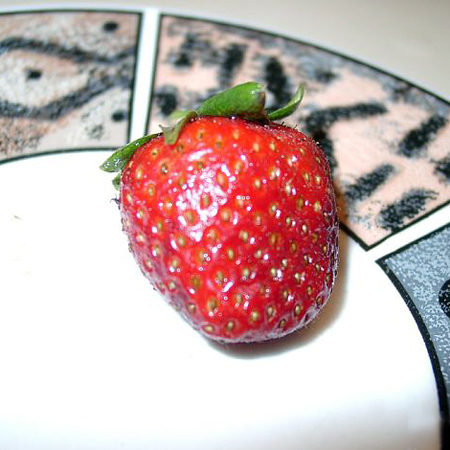 But as with any other note strawberry can be done well. Miss Dior Chérie Originale (pun intended!) by Dior, created by Christine Nagel in 2005, from what I get reading multiple reviews, was a perfect example of the “good strawberry perfume”. It was never “my perfume”, I never wanted to wear it but I remember it smelling nice on one of my friends. Unfortunately it has been reformulated and renamed so many times that by now nobody can be sure what version they smell. If you didn’t live through all the transformations of this perfume you might want to take a look at a very useful comparison article from Perfume Shrine. Miss Charming by Juliette Has A Gun, created by Francis Kurkdjian in 2006, is my absolutely favorite strawberry perfume. I do not like JHAG’s bottles. I do not like the brand’s name. So I tried their perfumes very reluctantly. Had I known who was the nose behind this perfume, there was a good chance I would have never tried it at all (since MFK doesn’t like perfumistas, I do not like him). But I didn’t know. And from the first test I loved how Miss Charming developed on my skin. It’s soft, bright, not too sweet or too fruity and… very charming. Many roses get very soapy on my skin, which I do not like. Miss Charming stays tender and beautiful until the drydown. If it weren’t for the above-mentioned reason I would have bought a bottle by now. 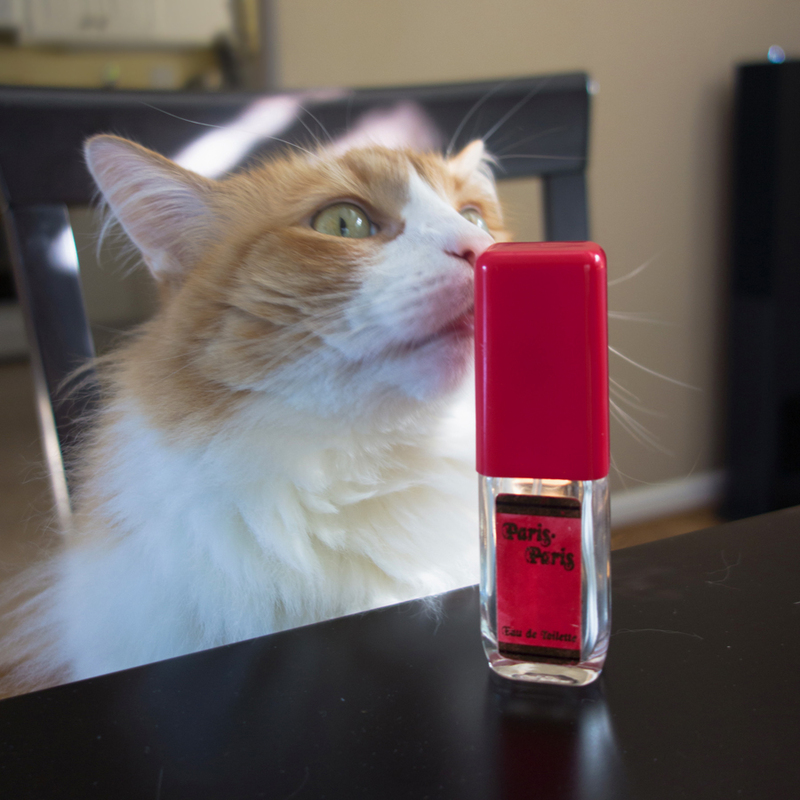 Are there any perfumes with a prominent strawberry note that you like? As I was updating My Perfume Portrait I looked closer at my favorite perfumes from the brands prospective. In my pre-perfumista life I didn’t even think about brands. I would try all new mainstream perfumes, no matter who’d created them, choose those I wanted to get immediately and those for which I would wait to buy online discounted. Over years I wore Dior, Givenchy, Yves Rocher, Elizabeth Arden and YSL. I might have owned a couple of perfumes from the same brand at the same time but I’m not sure. 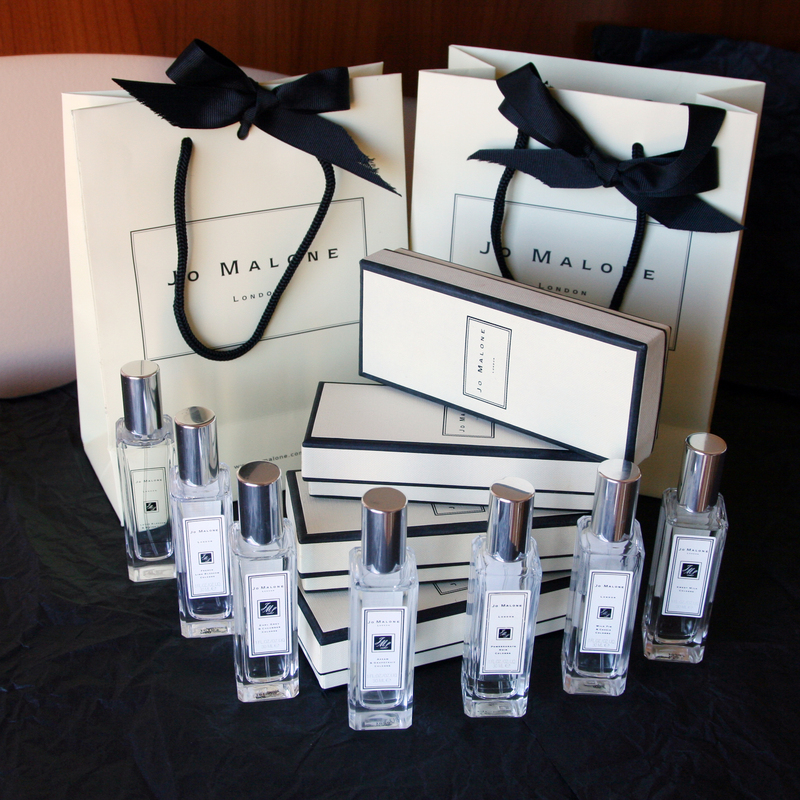 The first brand I recognized as such was Jo Malone. I can’t say that all of their perfumes immediately became my favorites but I kept finding more and more perfumes I liked and wanted to wear. Even today Jo Malone’s perfumes dominate my collection with at least 2:1 ratio to any other most popular brands. But while the number of bottles might be a sufficient condition to qualify a brand as “my“, it’s not a necessary one. Taking into the account prices of modern niche perfumes as well as bottle sizes and the size of my collection, a couple of samples or a small decant sometimes is all I need to enjoy the perfume I like. And sometimes I simply have the feeling that the brand is just right for me. Do you remember how it was for you in the beginning? 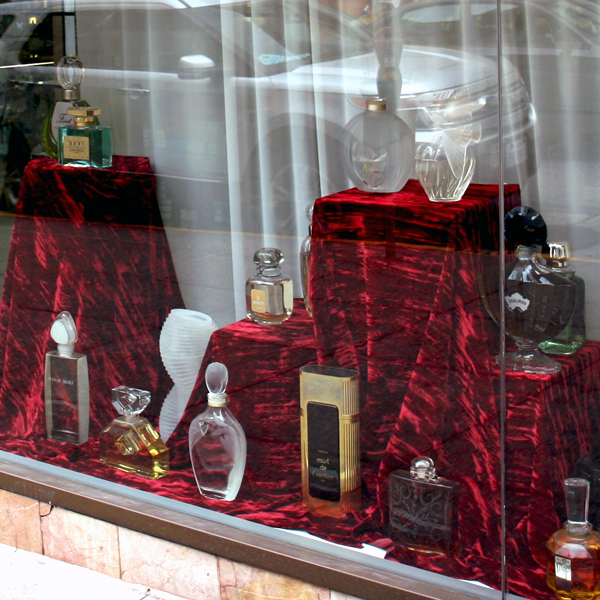 For me it was an enormous amount of information – names, notes, perfumers and brands. The first brand I consciously approached three years ago, when I was just starting my voyage into the unknown world of niche perfumery, was Amouage. 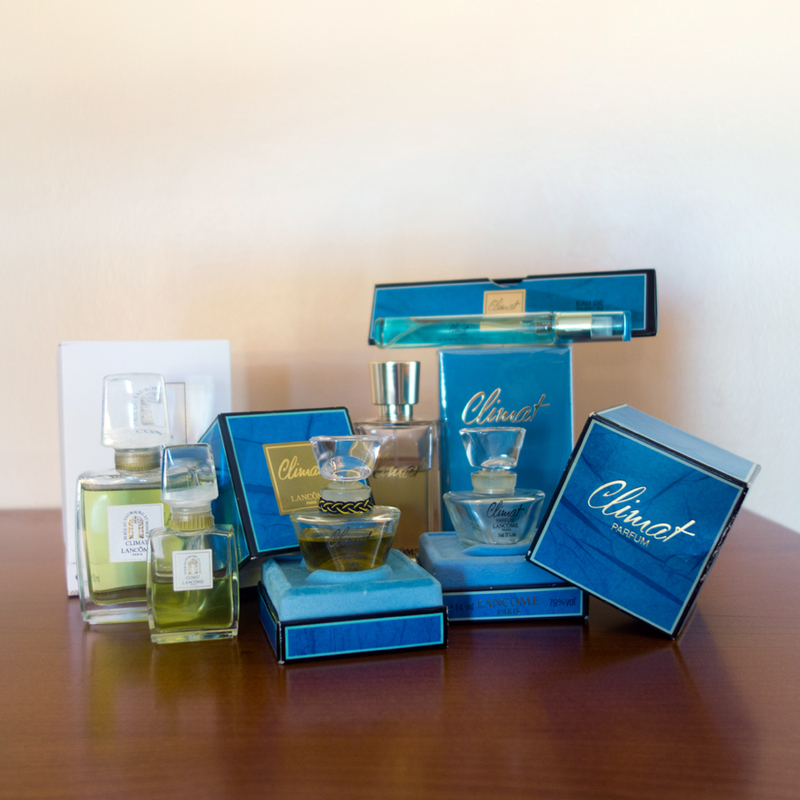 My first samples order consisted of seven perfumes from the brand; five of them were hits. Amouage is one of “my” brands ever since – even though I can’t add all the perfumes I like to my collection as full bottles. Among other brands that I consider in the same category (not counting new(er) brands with less than five perfumes in the line) are Ormonde Jayne, Annick Goutal, Atelier Cologne, Tom Ford, Chanel and Dior (exclusive lines from the last two). I do not love or want to wear all of the perfumes from these lines but on average these brands create more perfumes that I (at least) like. These are “my” brands. On the other end of spectrum there are brands, work of which I respect, find interesting and sometimes even love but in general I feel like those brands are “not my.” By Kilian, Guerlain, Tauer Perfumes, Serge Lutens or Frederic Malle are good examples of such brands. Even though I own several bottles and decants from all these brands, their perfumes don’t work for me more often than they do. If you were to name just two brands – one that is totally you and one that mostly leaves you cold – what would those be? Being parfumistas we accept that most perfumes are unisex and even those that lean towards masculine or feminine designation might be worn by any gender. The same way there are no strict rules as to which genre of perfumes should be worn in which environment or on which occasion (breathing conditions permitting). It might be a nice contrast to put on, let’s say, a vintage Vol de Nuit extrait while wearing jeans and sneakers and running mundane errands or to use some faint and subtle skin scent with a statement evening gown. But we often think of perfumes in terms of the occasion, something like: office-friendly, night out, beach walk or my best friend’s wedding. I thought about that while trying to classify my recent favorite – Johana by Keiko Mecheri. It’s not an elegant and graceful Dior New Look 1947 ready for an evening in symphony (even though Luckyscent describes Johana as “elegant perfume” – I disagree). But, on the other hand, neither it is a carefree and relaxed Estee Lauder Bronze Goddess on a tropical vacation. Following the idea above, to describe how I see it, I pared Johana with shoes. 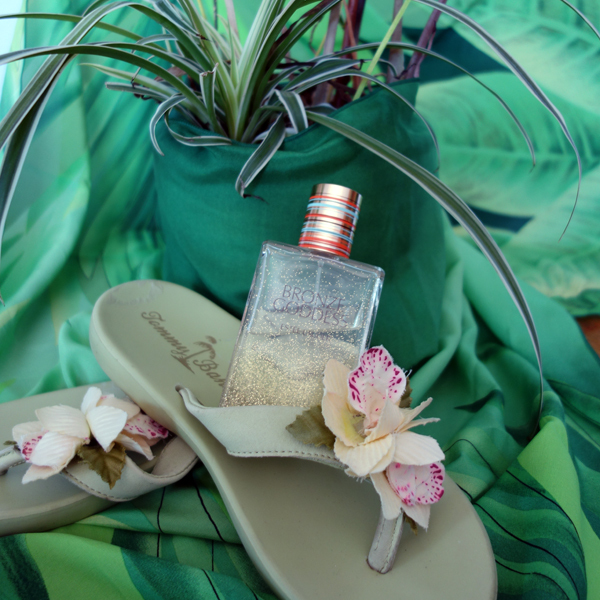 This perfume is more than just comfortable casual loafers but rather fun and playful (well, as far as “playful” goes for my clothes) Mary Jane shoes. Johana is a dramatic but at the same time airy perfume. It doesn’t make a shocking statement but keeps grabbing my attention as I wear it. 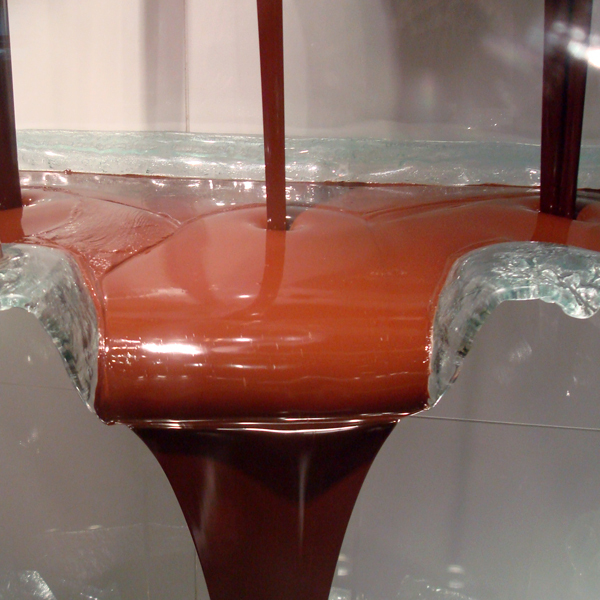 When I was planning my visit to MinNY last Fall I had no intention to test Keiko Mecheri line. Did I have any particular reason? Not really, it’s not one of the lines I’m boycotting. Other than MinNY having plethora of other brands to which I normally have no access, there is that strange feeling that there are too many perfumes in the line – and until then I haven’t tried a single one. How did it happen that after I’ve tested a dozen of Xerjoff‘s, all available Mona di Orio‘s, as many as I could Miller Harris‘ and many other perfumes I ended up leaving with Amour de Palazzo on the wrist and a single sample of Johana in my bag? It must have been fate! In several month I went through a couple of samples, liked the perfume more and more, went to MinNY site hoping to buy it, panicked since not only they didn’t have it in stock any longer but I also couldn’t find it on the brand’s website – I thought it was some kind of an unannounced limited editions or promptly discontinued perfume. So when I saw a partial bottle of Johana sold in one of the FB perfume-related groups I immediately grabbed it. It’s available again from MinNY and Luckyscent (it’s still not mentioned on the official website!) but I’m glad I got it. Johana by Keiko Mecheri – created in 2012, notes include Japanese chrysanthemum, galbanum, rose, wisteria, iris, cocoa, patchouly, incense, vanilla and sandalwood. I love most of these notes in perfumes. In Johana I cannot smell any of these! But I really enjoy this perfume even without being able to deconstruct it. Or maybe because of it?